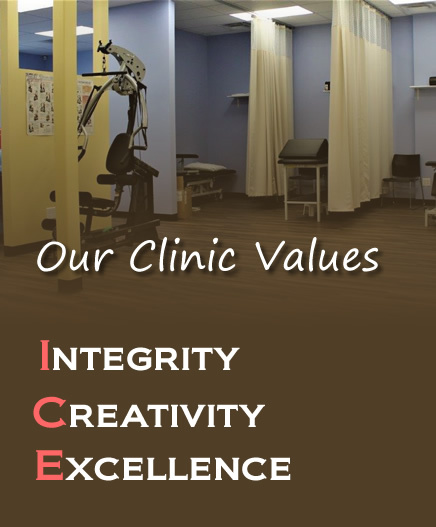 We provide physical therapy with patient-centred care and a focus on etiology (problem causes) in order to prevent recurring pain to residents of Central Alberta. More than 50 percent of Canadians experience back pain or neck pain at some point in their lives. Both conditions can take a serious toll on the quality of our lives and are major reasons for lost work days. Numerous injuries fall into the categories of sprains, strains and fractures. Sprains happen when excessive force is applied to a joint and damage results to the ligaments that hold the bones together. Common areas of the body to sustain sprains are wrists, ankles, knees and fingers. Strains refer to the tearing or stretching of muscles or tendons. The tendons connect the muscles to the bones. Fractures are cracks or breaks in bones. They occur when more pressure is applied to the bone than it can withstand. Commonly, fractures are the result of falls. At Timberlands Physiotherapy, we offer a course of therapy for fractures, sprains and strains to promote healing, reduce pain and restore functionality as quickly as possible. Timberlands Physiotherapy works with low and medium level athletes from weekend marathoners to recreational sports participants. We work to reduce your pain and restore mobility so you are deprived of the quality of life you so deserve. We will also prescribe you a series of exercise that you can safely and effectively perform to help in keeping you free from injury. We will customize you a program of treatment to get you back to the recreational sport that you enjoy as quickly as possible. Overuse injuries impact everyone from athletes to workers to gamers. In fact, they occur in anyone who uses one part of their body in a repetitive manner. Carpal tunnel syndrome, bursitis and tendonitis are all examples of this disorder that means one part of the body is injured from over-exertion. The pain is often focused on a joint and affects surrounding muscle, bone, tendon or bursa of the joint. Physical therapy is effective as a treatment for repetitive use injuries. Our Physiotherapists are willing to be of help. By subscribing to our mailing list you will get the latest news and updates from us.